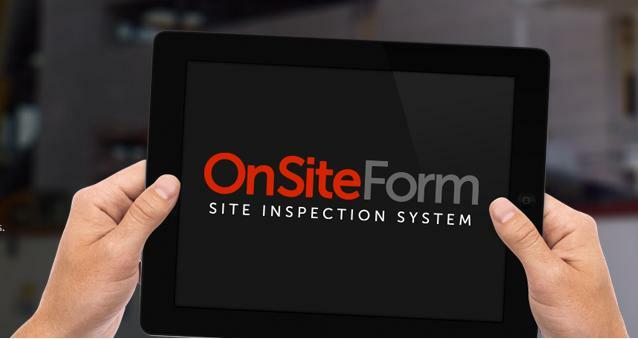 OnSiteForm is an onsite inspection tool. OnSiteForm is a mobile internet lifting gear inspection software application that efficiently records and manages equipment inspection and many other types of examinations as well. OnSiteForm will enable your inspectors to use web based or hand-held data capture methods to carry out inspections on sites, especially where an internet connection is not readily available. A lot of time can be saved by conducting inspections using the OnSiteForm App. Not only can examinations be carried out more efficiently, but the system keeps an inspection history that can be audited at any time to show that statutory inspection requirements have been met. Inspections in remote locations can be conducted without an Internet connection. Inspection records are held in a secure database, the details of which can be seen online via a secure log-on. Access to records can be tailored so that people can only see and manage information they have been given access to. Assets hold an inspection history as well as any other information associated with them. An excel download of selected equipment can be retrieved. Batch certificate prints can be produced as well as inspection records. Inspections can be conducted for different types on examinations, and a template certificate can be allocated. A diary of the inspection schedule can be maintained for each inspector. Site details can be maintained on the web. Emails can be produced advising the relevant people of inspections due. An inspection management system that puts you in control. If you would like to find out more please visit our OnSiteForm website or call us on +44(0)161 447 8845. Alternatively you can evaluate the system by using 'demo' for the username and 'demo' for the password below.